It is said that we Bengalis celebrate thirteen festivals in twelve months but in reality its way more than thirteen. 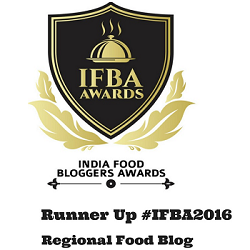 We just need a reason to celebrate anything with good company, adda (chat) and great food. One such celebration is Jamai sashti or a very special day for Bengal’s son in laws. Jamai in Bengali means son in laws and Sashti is the sixth day in a fortnight of a Hindu calendar. Jamai Sasthi is observed on the 6th day of Shukla Paksha which means the waxing phase of moon. On this day all mother in laws worship Goddess Sashti who is the Goddess of fertility and the protector of children with full devotion for the well beings of their son in laws and treat them with kingly honor. All the jamais or son in laws take a day off (state holiday) from work and are invited to their in laws place where after the completion of a traditional puja, mother in laws tie yellow threads around their wrist and Prasad is distributed among all. Later they are showered with loads of expensive gifts and a majestic traditional lunch spread. The preparation for this day starts the day before when the father goes to the market to order for special sweets, fish and mutton. As Hilsa the most adored Bengali fish becomes available during this time, it’s a common sight in the fish market to see fathers flocking in to get the best fish for their jamais. The feast starts in the morning with lavish breakfast of ghee e bhaja luchi (Puris fried in clarified butter), curry and varieties of sweets. The lunch is served on a traditional Kansa thala (brass plate) with numerous items served with rice. The main focus remains on non vegetarian like mutton and numerous fish dishes. This year Jamai sashthi was on 17th June. Because of the distance the Jamai here is deprived of any jamai ador , but more than the jamai it’s the in laws who are sad. The numerous enquiries started pouring in from the day before. Several times Maa, Baba, Mama (maternal uncle), Mami (Mama’s wife) and Dada(elder brother) called to know what I am preparing for him. I planned on a quick dinner with pulao and Chicken do Pyaja but that was nowhere closure to their satisfaction. They atleast wanted some dessert to end the meal. Now preparing dessert for my hubby is a difficult job. He doesnot like anything that’s has a sweet taste and there are very few sweet dishes that he likes. So I wanted to play safe and targeted his favorite fruit Mango to whip up something quick. The Mango sandesh (mango flavoured cottage cheese based sweets) I made for this occasion came out much more than I expected. It has a nice sweet aroma and a lovely bright summery colour of the begumpally mangoes. The taste simply could be summed up in one word ‘heavenly’; unlike regular sandesh it has a creamy, melt in the mouth textures. I used my most prized possession, My Dida’s terracotta sandesh moulds to give shapes and designs to the sweets for the very first time. It was a very nostalgic moment for me as many sweet memories came pouring in and I felt very close to her. Finally, when served on a traditional kansa plate Hubby was in awe, his first reaction was like where did you buy them? And more to my surprise my not at all sweet loving Hubby ended up eating 8 pieces of these gorgeous yellow bites (not at all exaggerating). The other man of the house, our little cub even loves this and ate two small pieces. I am going to make different versions of this again and again as this is a great way to eat some good milk product but more because our most trusted sweet shop here has recently closed their shutter. 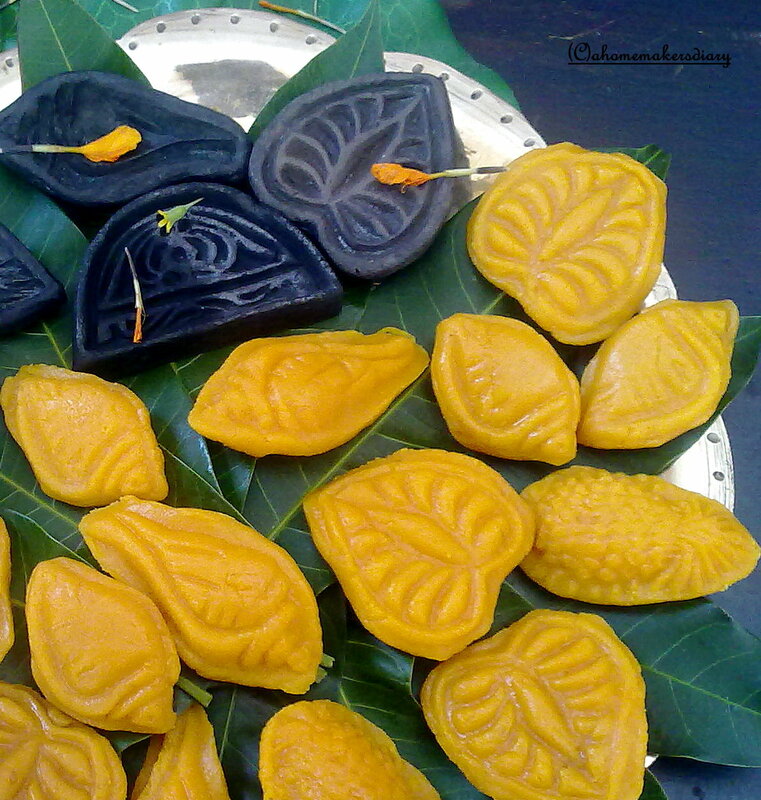 So further about Bengal’s most favourite sweet Sandesh later in my coming posts. Till then enjoy these sweet treats. First prepare the chena/ chana or cottage cheese: Heat milk on medium flame and bring to boil. Increase the heat and mix in the lemon juice and gently stir. Gradually it will start to curdle. Keep stirring with a gentle hand till you see light green water separating from the cheese. Switch of the heat and strain the water in a muslin cloth. Hold the cheese in the cloth under running water and wash thoroughly to get rid of any lemony taste and smell. Bring the sides together and hang it to drain any excess liquid at least for 30 minutes. Kneading the chana: After that take the cheese out on a plate and start kneading with the heel of your palm. Continue doing this till you get smooth dough and your palms feel the softness (approx. 5 minutes). Now mix in the sugar and again knead for another 3-4 minutes. At the end of this process you will get a little oily and very smooth dough without any lump. Now peel and deseed the mango and puree the pulp. Preparing the makha: Pulse the khowa (make sure it is at room temperature) in a food processor to get a smooth consistency. If needed add little milk. Take a non stick pan and mix in the mango pulp, Khowa, chana and condensed milk, the consistency would be thick batter like. On a medium low heat start cooking the mixture. You need to keep stirring it continuously to avoid from burning at the bottom, while doing so scrape the sides occasionally. Keep on cooking this way till the chana becomes thick and finally take a dough shape leaving the sides of the pan (approx. 15 minutes). Switch off the heat and take it out on a plate or bowl. Cover and let it cool a little bit. Moulding or shaping the sandesh: In the mean time wash the moulds and lightly grease the inside with a little ghee (clarifies butter). Pinch the dough and take small portion of the makha. Spread this on the mould in whatever form it is. Press with your palm and gently take them out of the mould. Repeat the process with the rest of the makha. Serve warm or at room temperature. You can also freeze them for 3-4 days in a covered container. Note: this could be prepared with any other aromatic fruit like strawberries, raspberries etc. the classic sandesh is only prepared with pista and cardamom. will try to post that later. the kneaded sweetened chana is the raw form of rasgullas. to make that make small balls of the kneaded chana and boil them in sugar syrup for 5 minutes. Sending this to Srivalli's Kid's Delight ~ Colouring your Kid's Delight! 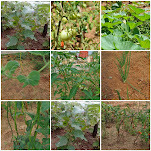 and also to Sizzling Summer Contest at SpicyTasty.com. 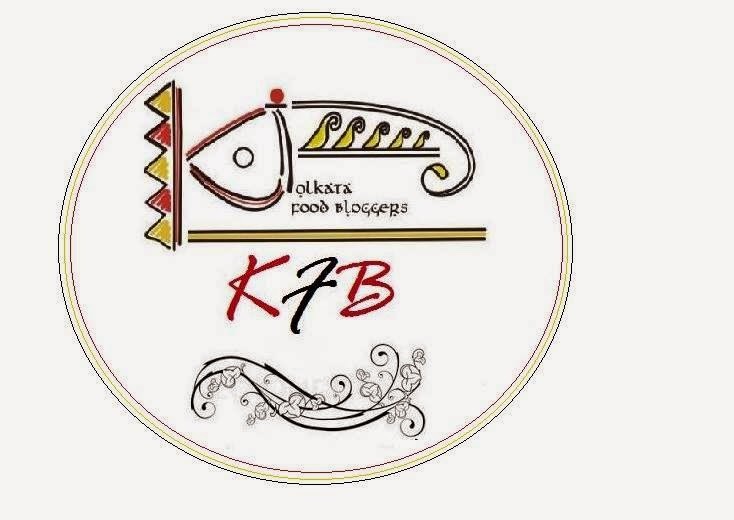 cottage cheese, sandesh, bengali sweet, milk sweet, chana, chhana, chena, Mango dessert, milk dessert, Indian sweet, Mishti. lovely pictures and a delicious recipe! Hi Sayantani, loved this post for being steeped in tradition. Jamai raja must have felt truly special :) What a sweet gesture indeed! 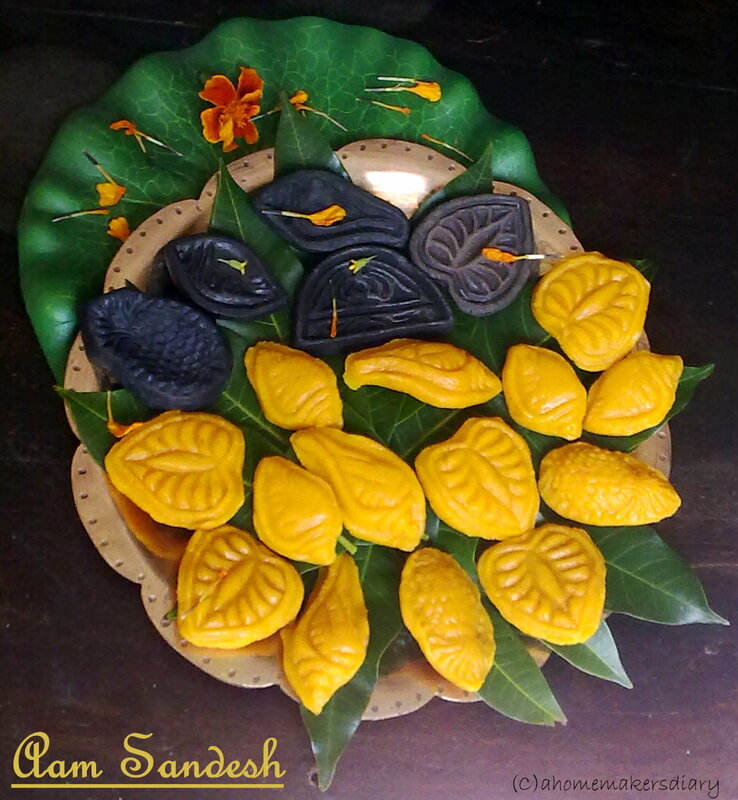 lovely mouth watering aam sandesh,I usually love the bengali milk sweet sandesh. Feel like having a share of the lovely sandesh. Love the moulds u possede Sayantani, they looks superb, mango sandesh makes me drool..simply awesome..
enjoyed reading your post..very well written...must say jamai babus are always treated like a king during their visit..:).. coming back to sondesh, oh my I am drooling over here by looking at your pics..I love this sweets more than any other dessert..heaven is the word for this..and you have made it perfect...thanks for sharing your recipe..
Wow! what a delicious sweet..tasty delight..lovely click as well.. These look so authentic and pretty! wish I could make them this perfect. Lovely pics and a nice recipe! Sandesh in mango flavor sounds fab!! So pretty too! aaah.. mango sandesh. how i used to love it when my roommate would bring some home after holidays! looks delicious and it was wonderful to read about the son-in-law festival. Khub bhalo laglo tomar aam-sandesh!! wow this looks so perfect,..must have tasted good. Your aam sondesh looks nice. Vey tempting Sandesh.. 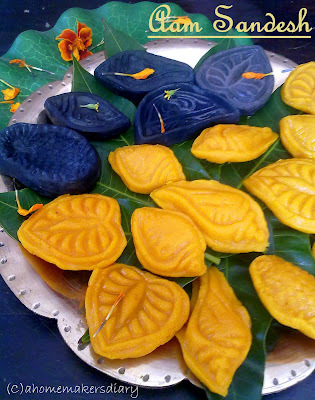 Beautifully written post..
That was a nicely written piece, explains the tradition so well...I love the look of the sandesh and those moulds are really pretty ! Sandesh in one of my favorite sweets, yours have turned out fabulous ! 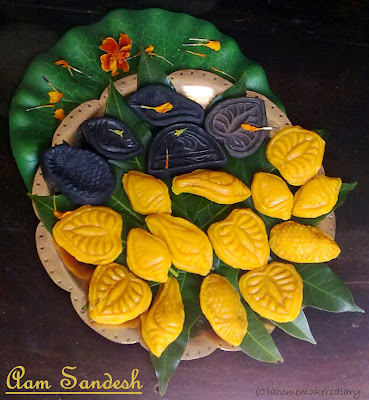 wow, what an informative post..and a truly delicious and rich sweet..love the presentation..
Great post, Sayantani..Mango sandesh is new to me, it looks soo delicious..Beautiful presentation and pics!! WOW!!! that looks FAB....amazing...oh we wish we cld try one....!! AWESOME!! 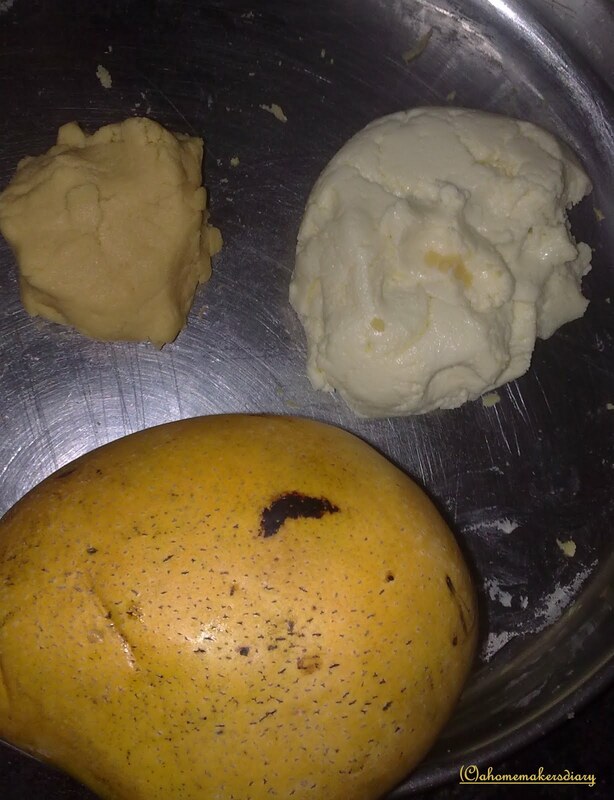 Looks like an experts work..look at those mango sandesh...perfect ! @Bongmom, tomar mukhe anek sandesh Sandeepa, amar akta meyer je ki sakh ki bolbo. Oh my gosh.. this is awesome.. I simply couldnt stop eating this stuff.. when were on holiday in Kolkotta... I think I actually put on a lot of weight.. eating this and mishty doi..
You are a master chef... I'm not a cooking expert really.. Hey.. I also like the header photo.. or the orangish wall.. with the puppets hanging.. is that your home?? Lovely!! Hey I forgot to mention..your lovely shondesh remind me of Mouchak in Kolkata!! can i sub anything else for khoya? can i sub sugar for honey? and i dont have these beautiful moulds like u do, what can i use to shape them? @Susan, dont know of any shop in particular but local fairs in West bengal sell them in plenty.